As oceanographers seek to uncover the mysteries of the oceans and their dynamic basins, the necessity of large observational programs and datasets is becoming ever more apparent (see Lindstrom 2018). These datasets, however, are vast, diverse, and complex, leading to new challenges in data organization, management, access, and analysis. 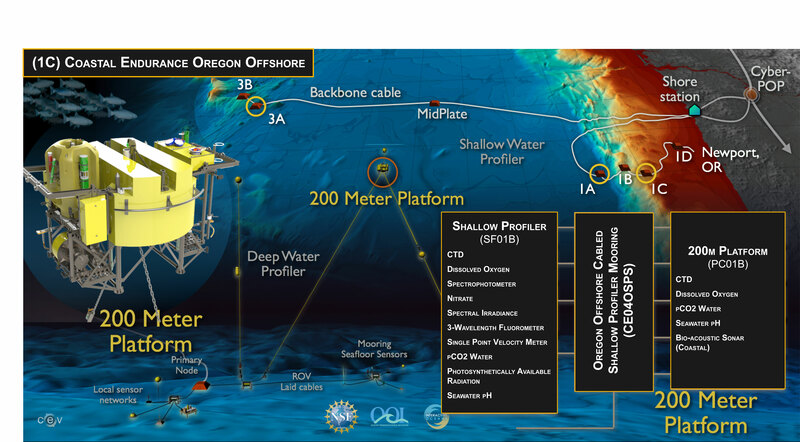 The National Science Foundations’ Ocean Observatories Initiative (OOI) currently supports approximately 760 deployed sensors that continuously produce over 200 unique data from the seafloor to the air-sea interface. The OOI Cyberinfrastructure now serves over 250 terabytes of data, with more data coming in every second. “Big data” is not a challenge exclusive to the OOI, or the oceanographic community, the issue permeates throughout the scientific world and is the impetus for the creation of hackweeks by the eScience Institute. 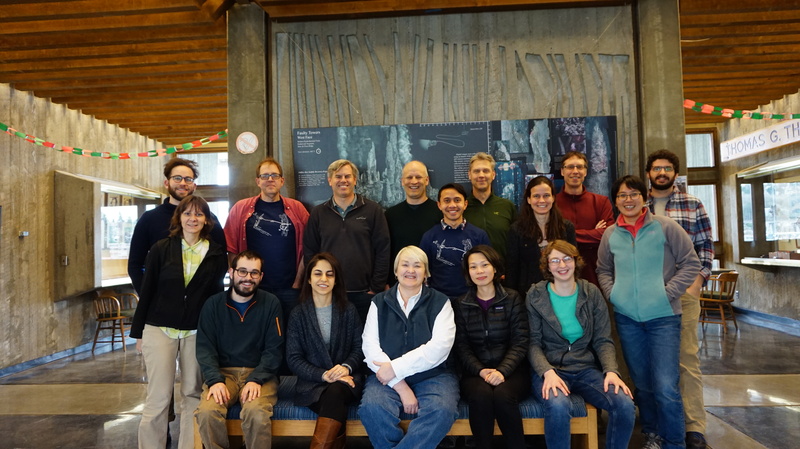 In February 2018 the UW eScience Institute, in collaboration with UW Applied Physics Laboratory and the OOI, hosted the first ever ocean related event, the Cabled Array Hack Week (CAHW), focusing on data from the OOI Cabled Array. The event was a three-day immersive experience with about 25 participants ranging from students through senior scientists. The CAHW was a grass roots effort led by, Wu-Jung Lee, a researcher at the Applied Physics Laboratory (APL) and an early adopter of OOI data. 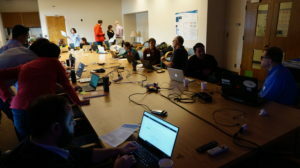 The goal of the Hackweek was to build a stronger user community around the Cabled Array, and to create and promote effective computational data analysis workflows of the real-time data stream. 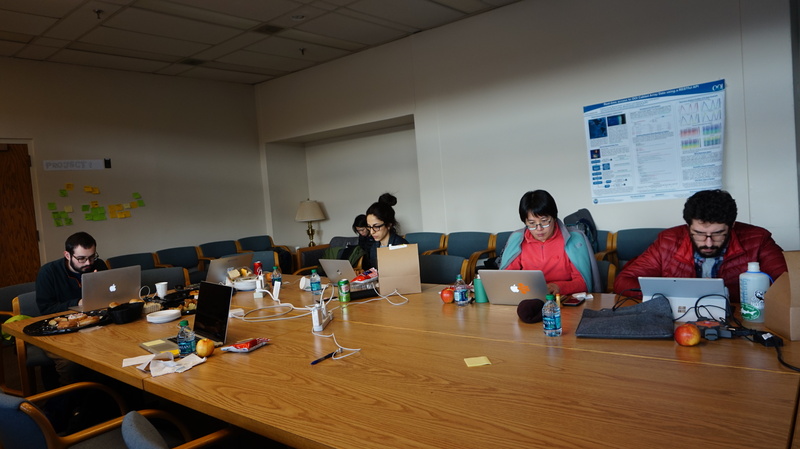 For three days, hackweek participants devoted themselves to OOI data and collaborative group projects. The hackweek was structured with tutorials focused on “how tos” for data mining, processing, and visualization techniques, while most of the time was spent in small groups hacking away on their own individual projects. Projects currently being developed include a mobile app to identify whale vocalizations from OOI Cabled Array Hydrophone data entitled “Whaldr.” As the name suggests, it is loosely based on the social networking app, Tinder, where users swipe right or left to determine if there is a whale making noises. 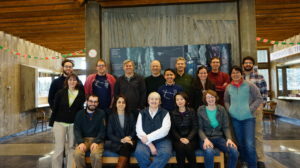 Other projects include the creation of a draft common data format to better share and process acoustic data from scientific echosounders and Acoustic Doppler Current Profilers. More details on projects can be found on the Cabled Array Hack Week website. After a successful workshop on Cabled Array data, the team is not done. They will be running an OOI-wide Oceanhackweek with data spanning all of the arrays in August. Click here for more details and to apply. 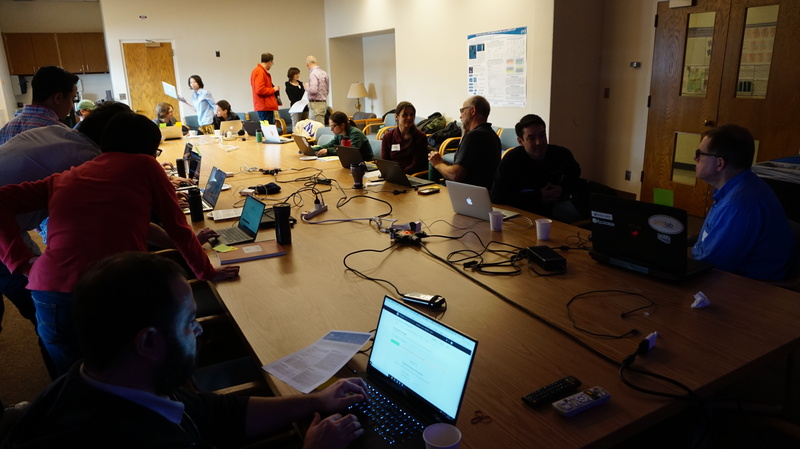 The OOI Cabled Array Hack Week was supported by the University of Washington School of Oceanography, the Applied Physics Laboratory, the eScience Institute, and the Ocean Observatories Initiative. 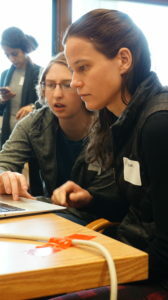 In addition to Knuth, Lee, and Tan, organizers included Valentina Staneva, Rob Fatland, and Aaron Marburg.